In a bowl, mix together the biscuit mix and milk. 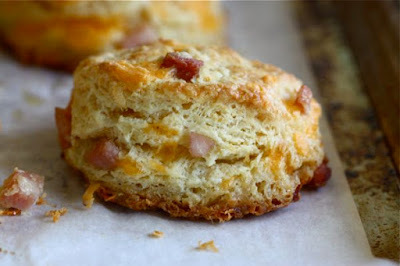 Fold in the ham and cheese. Drop large spoonfuls onto a greased baking sheet and bake at 400 degrees for 10-12 minutes.